Sisters are the sweetest! (sometimes.) Create an adorable and fun fill-in book for your children to remember all the memories they shared together. 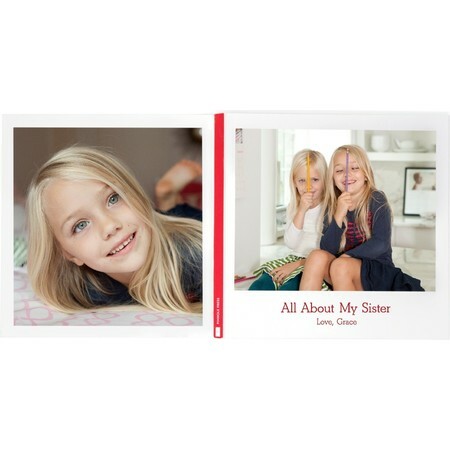 The All About My Sister Photo Book is a great gift for newly big brothers or sisters that are adapting to life with their new baby sister. It's also great for kids with an older sister that they admire and look up to. 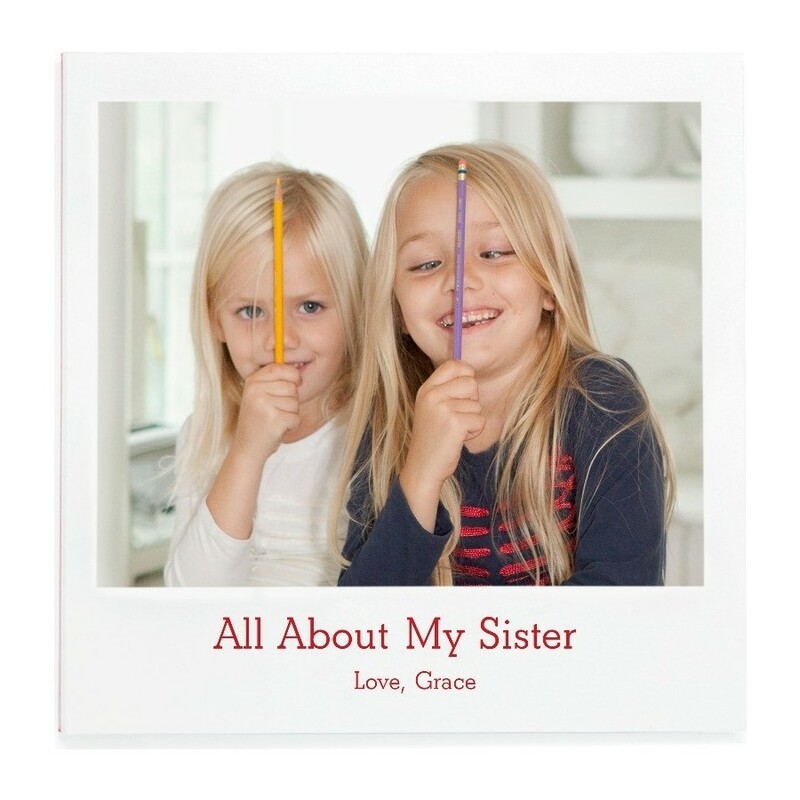 The photo book holds ten photos and includes fill-in prompts for your little one to complete. 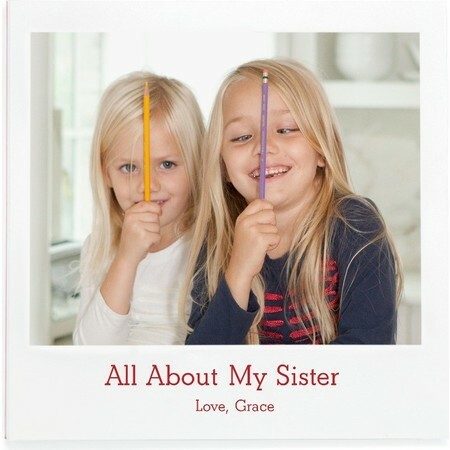 The All About My Sister Layflat Photo Book can be filled in with marker, crayon, colored pencil and pencil. (Avoid gel-pens as the ink may smudge if not dry!) The book is printed on premium paper and measures 5 x 10" inches when opened.